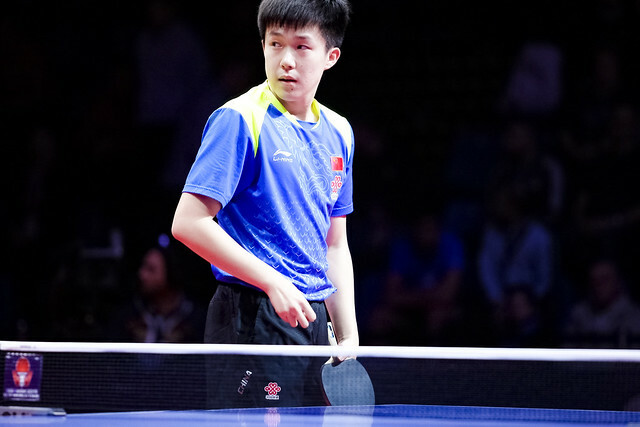 Zhou Yu has been suspended for three months by the Chinese Table Tennis Association and his coach, Ma Jungfeng, for one month following an incident in the opening round of the men’s singles event at the Seamaster 2019 ITTF World Tour Hungarian Open in Budapest on Thursday 17th January. Playing against Chinese Taipei’s Chuang Chih-Yuan, trailing by three games to two, he ripped off the black rubber from his racket in front of the assistant umpire. The racket no longer usable, Zhou Yu requested he used his spare racket; this is contrary to the Regulations for International Competitions. Correctly the umpire immediately summoned the referee, Marta Szily, who had no alternative other than to disqualify Zhou Yu. Regulation 3.4.2.4 states: A racket shall not be replaced during an individual match unless it is accidentally damaged so badly that it cannot be used; if this happens the damaged racket shall be replaced immediately by another which the player has brought with him or her to the playing area or one which is handed to him or her in the playing area. The racket was not damaged thus Marta Szily proceeded. Regulation 3.5.2.8: The referee shall have power to disqualify a player from a match, an event or a competition for seriously unfair or offensive behaviour, whether reported by the umpire or not; as he or she does so he or she shall hold up a red card; for less serious offenses which do not justify disqualification, the referee may decide to report such an offense to a Disciplinary Panel. The official outcome is that Zhou Yu is suspended from Thursday 17th January to Wednesday 17th April; Ma Jungfeng from Thursday 17th January until Sunday 17th February.